The Return of Swine Flu? Doctors in Krakow performed an emergency caesarian section to deliver the baby of a woman struck down by swine flu. The 23-year-old mother-to-be was admitted to intensive care at the Collegium Medicum hospital in Krakow, during the first week of January. She was in the 27th week of her pregnancy. Health officials confirmed that she had swine flu, and said her condition was serious. Rafał Niżankowski, from the Małopolska health inspectorate, told the PAP news agency on 5 January that the baby was being observed, but did not have the disease. A hospital spokesman said on the same day that the child’s mother was still in danger. Gazeta Wyborcza Kraków reports that the Collegium Medicum has had to borrow equipment from the John Paul II Hospital in Krakow to keep the patient alive. The vital Extracorporeal Membrane Oxygenation (ECMO) unit is most commonly used on newborn babies with lung damage, but has recently found a new use in the treatment of H1N1 sufferers. ECMO takes over the function of the lungs, oxygenating the blood until the patient’s body has recovered enough to do the job for itself. It is a treatment of last resort and can be continued for many weeks with the patient kept in a pharmacological coma. About 60 percent of adults treated with ECMO survive. Poland purchased ten ECMO units in response to the swine flu pandemic in 2010. 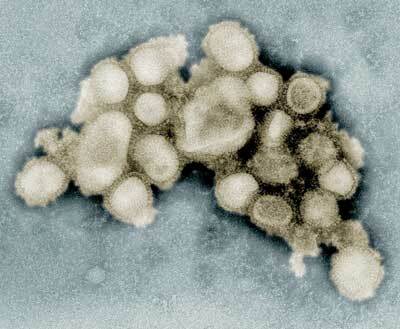 Swine flu broke out in Mexico in the autumn of 2009 and quickly spread worldwide. It is thought to have reached Poland via the Ukraine. At the time, many European governments bought millions of Euros worth of vaccine, but Poland’s Health Minister Ewa Kopacz refused to follow suit. Ms Kopacz told Polish news outlets that she was not convinced that the vaccines had been adequately tested. The decision was criticised heavily in some quarters, including in the journal Practical Medicine-Paediatrics, which said the government had been “unprepared” for an outbreak. Public unrest grew as, across Poland, 170 people died after suffering flu-like symptoms during the outbreak, and around a quarter of a million were suspected to have contracted swine flu. Ms Kopacz’s decision was however praised in a Council of Europe report. Paul Flynn, the report’s author, said it had been “an act of courage” in the face of pressure from pharmaceutical companies and neighbouring countries. Dr Margaret Chan, Director-General of the World Health Organisation, announced on 10 August 2010, that the swine flu (H1N1) influenza event has moved into the “post-pandemic period.” However, cases have continued to be reported throughout the autumn and winter, with the largest number of patients in the EU being admitted to hospitals in the UK. UPDATE: It emerged Monday that a 50-year-old man and a two-and-a-half-year-old girl have died from complications caused by AH1N1—the first deaths in Poland from the disease this winter.